Clare and her work has been a total life changer for me. I honestly can’t thank her enough. She helps you think more rationally which enables you to make better choices and look at situations differently that may have stressed you out or made you panic previously. I literally do not have enough positive words to say about Clare so if you’re considering hypnotherapy she is absolutely the one! I can’t recommend her highly enough. Clare is empathetic, but also a very acute and effective listener; she really helped me pin down the changes I needed to make to significantly improve the quality of my sleep – the blessing of a good night’s rest – and in maintaining a positive and focused approach when facing the many challenges of establishing a new business. Thank you so much! Clare is brilliant! She helped me when I was struggling in my emotional and professional life. She helped me find ways to manage and change my thoughts and have a much more positive outlook on life. I feel a lot more relaxed and generally happier and more content with life! I would recommend her to anyone seeking a bit of guidance. 5 stars! For those who might think hypnotherapy is a bit ‘airy fairy’…Clare’s approach is very practical…she retrains your brains way of thinking by explaining how you’re supposed to use your brain rather than putting you in a trance and telling you what to do! She also has the comfiest day bed ever which I still think of and wish I could be lying on and relaxing but her influence has been so great I don’t need her anymore! Clare changed my life. My professional career was stuck in a rut and I didn’t have the belief in myself to make a huge change. After 2 months of seeing Clare on a weekly basis I secured a new role with a huge pay rise and a new found confidence in my ability to succeed. I’m so grateful to Clare for all her help, she’s fabulous! This lovely, warm, funny and professional lady has really helped me no end!! She offers a welcoming and safe environment to be open and to learn. She went above and beyond to help me grow and improve as a person. I am generally more relaxed, decisive and better at coping in difficult situations- to name just a few amazing things that I took away from my sessions with Clare. Cannot recommend her highly enough. Thank you! Thank you for all your help over the last few months. You have really helped to get me to a positive place and because of that I am starting a whole new life. I’m really excited for this year. I have a lot planned and I’m confident it’s going to happen. I saw Clare at a difficult time in my life and I was feeling anxious and overwhelmed at the enormity of life. I was worried about everything and everybody, waking up feeling sick and crying myself to sleep. I knew it had to stop. After just one session I felt more calm and in control of my emotions and within a few weeks my friends were amazed at the change in how I was dealing with everything. Five stars from me for a life changing therapy. Clare has given me the tools to manage the challenges that life throws up and I’d like to thank her for making me a lot calmer and resilient as a result, both with myself and others. I would highly recommend Clare for anyone suffering from anxiety. She’s given me the tools to deal with these issues and since my sessions I’ve been able to manage my anxiety. I feel back to my old self and have massively grown in confidence. Clare taught me to look at the positive things in life and this is something that now comes naturally to me. I really do feel so much better and will be recommending you to people myself! I was in emotional turmoil and needed help to gain back my confidence and find myself again. Clare helped me build my confidence and calmness by the time I had to face my exams – something I thought impossible. My sessions allowed me to stay focused and on the right path and I left leaving calm and joyful! I would highly recommend her therapy as one that not only can be applied to your current situation, but her encouragement at changing your way of thinking will help you your whole life. Clare helped me in a single session just prior to writing my GCSE exams. Using techniques that she shared I was able to overcome the stress related issues that I had previously experienced during exams. I am delighted to say that my GCSE results benefited enormously and I heartily recommend Clare to any student seeking to be calmer and less stressed. My son was really struggling with focus and motivation for his exams. In the past he has become overwhelmed and exam time has been very stressful. This time he has been much more relaxed and focused and has completely taken responsibility for his revision. This has made a huge difference to our relationship as I’m no longer stressed and feeling like I’m in a constant battle with him. For the first time ever the exam period has been a really calm time and I’m sure that will be reflected in his results. I wanted to thank you again so much with my past fear of flying (no longer a fear) the end of last year, I flew to Italy, New York and the Maldives all on my own in big planes, small planes and sea planes. Thanks to you. I would never have managed it otherwise. I don’t fear going away at all anymore; I see it as a positive opportunity! Thank you! I went to Clare with a crippling fear of flying. I would be nervous and distracted before the flight and extremely uncomfortable during the flight, sensitive to any noise or movements often resulting in panic attacks. After 4 sessions, each with its own emphasis, I was not only much more comfortable about flying but I found that the techniques and principles I had learned could be applied to my everyday life – I am a much more positive person. It took just 4 sessions for me to be able to clear out my garden shed which is covered in spiders! This wasn’t the only positive change – I sleep better at night and wake up feeling rested; I feel more able to cope with making decisions; I am more aware of how important it is to rest and look after myself. I wouldn’t hesitate in recommending Clare, she is warm, caring, and passionate about what she does but, most importantly, excellent in what she does! I felt quite worried about labour as I was uncomfortable about formal hospital settings and medical intervention. Clare helped me to focus on positive outcomes and how important it was to remain calm, enabling me to make objective decisions for my labour. I approached my labour with a different viewpoint following my sessions with Clare. I highly recommend Clare to help you see things more clearly. If I am fortunate to have subsequent pregnancies, I would approach Clare sooner to help me prepare as I realise now that it helped me to enjoy the pregnancy itself as well. Where is Clare at Refreshing Minds based? My practice is in Chertsey, Surrey, very close to the M25 by junction 11. It’s within easy reach of Chobham, Cobham, Egham, Esher, Hampton, Shepperton, Staines-upon-Thames, Virginia Water, Walton-on-Thames, Weybridge and Woking - although I do have clients from further afield, too. 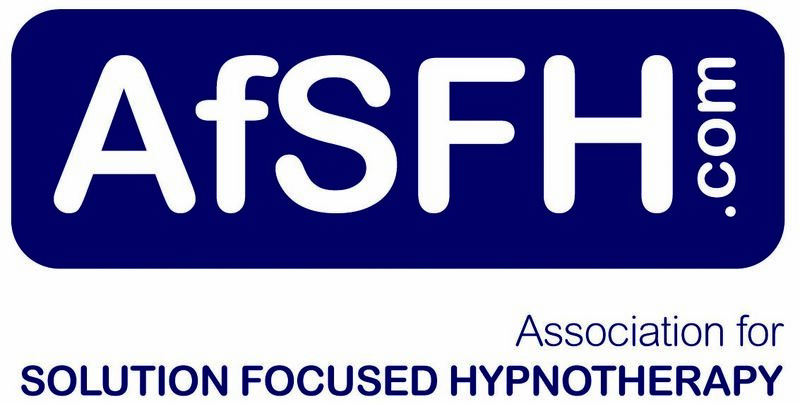 Disclaimer ** Hypnotherapy is effetive however the results may vary and success is not guaranteed. "Clare and her work has been a total life changer for me. I honestly can’t thank her enough. She helps you think more rationally which enables you to make better choices and look at situations differently that may have stressed you out or made you panic previously. I literally do not have enough positive words to say about Clare so if you’re considering hypnotherapy she is absolutely the one!"